I love checking out the clearance sections of discount stores to add to my fabric stash. There was some really great discounts on top of the clearance prices so I stocked up. I got a few pairs of adult leggings for one dollar each. I used them to make play pants for my daughter. Take the adult leggings turn inside out and spread flat on a table. 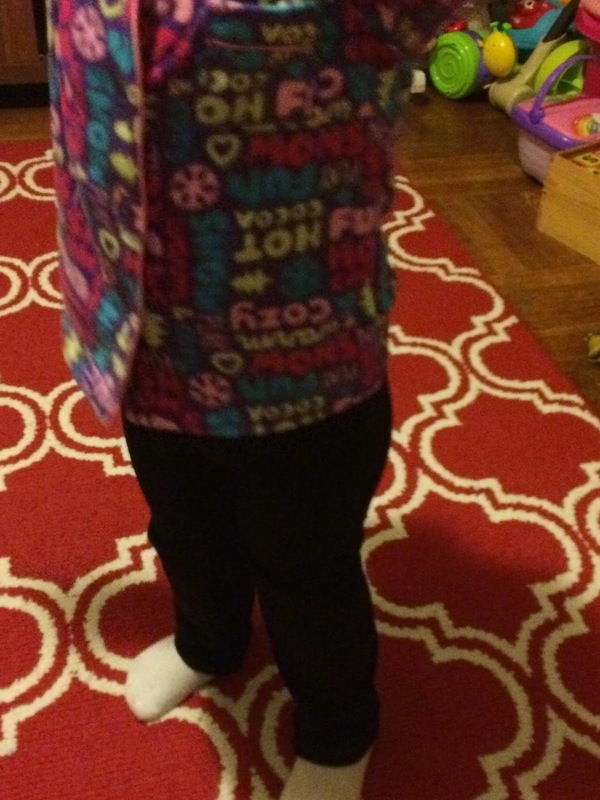 Take a pair of pants that fit your toddler well and place on top of adult leggings matching the waistband. 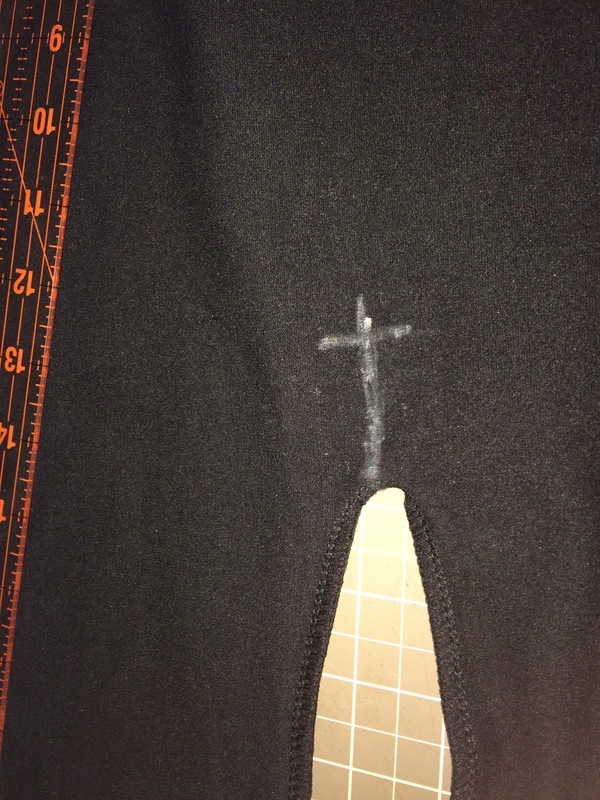 Using the air soluble pen mark around the toddler pants. Remove toddler pants. 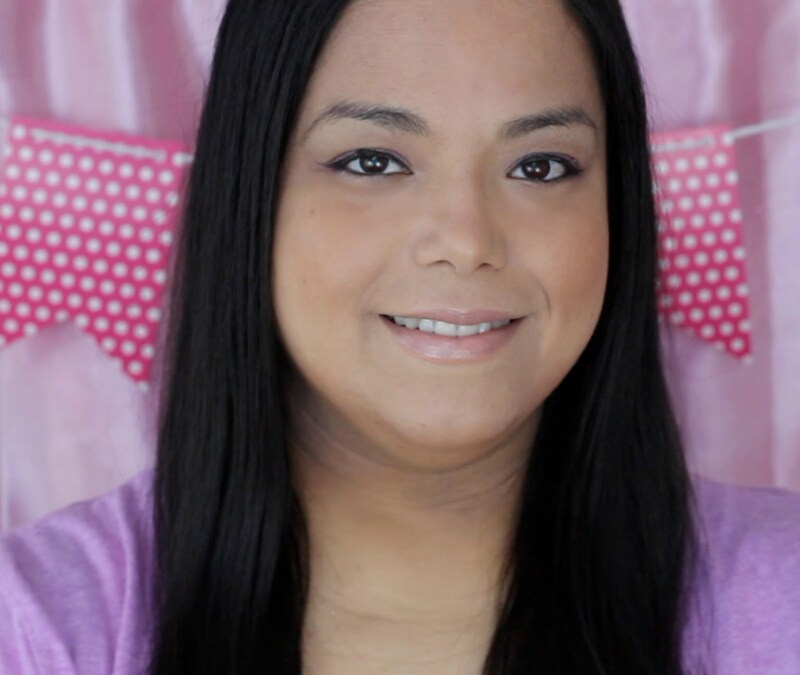 Take a ruler and add an inch to the left and right sides. Add a 1/2 inch to the cuffs of marking. Go down 1/2" from crotch marking and mark with a line. Cut all around the markings you made. 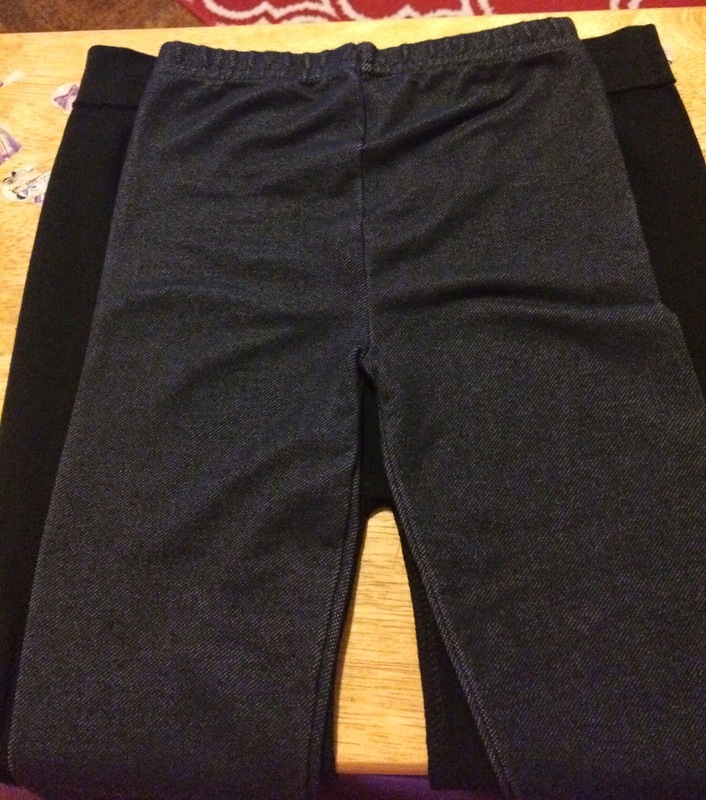 Sew the sides of pants using 1/2" seam allowance. Make sure to use a zigzag stitch and reinforce the beginning and end of the stitches. Sew a 1/2" from crotch markings. Fold up a 1/2" cuff and sew around using a zigzag stitch and reinforcing the start and end. Repeat for the other cuff. Have you ever upcycled any old or discounted clothes? What a great idea! And good tutorial. Thanks! How neat! You can't beat $1 fabric! How great!! Love this so much!! I have never upcycled anything. You did a nice job! This is great! I should try this with my preschooler. Love upcycling! No reason to throw it away! Great idea!! DS struggles with pants since he's skinny so I may have to do this for some pants for him! 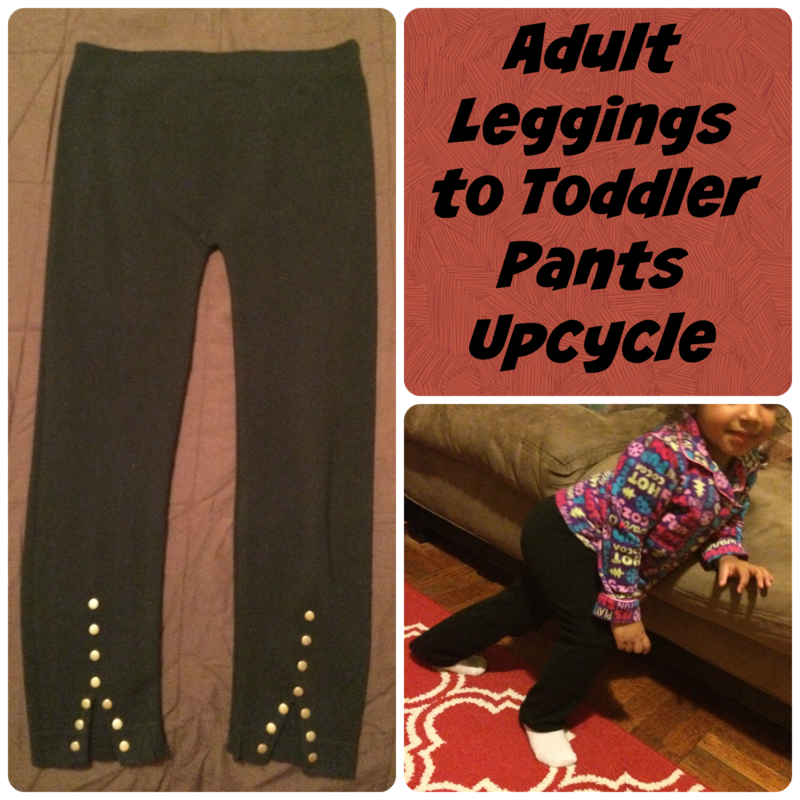 What a great way to make use of old leggings! So smart! I love upcycling adult clothes into cute kids clothing. wow that is very creative.